This month we shine the spotlight on FRC 1225, The Gorillas. Based in Hendersonville in Henderson County, this is one of our western teams in the mountains! Tell us in 2-3 sentences about your team. 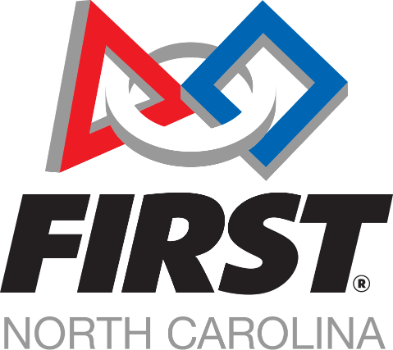 FRC 1225, The Gorillas, is the oldest team in Western North Carolina. We have team members from all of the high schools in our county. Our home is the rehabbed basement of the local Boys and Girls Club, which we turned into a full blown robot building workshop after forming a collaborative partnership between The Gorillas, Henderson County Public Schools and The Boys and Girls Club. One of the biggest highlights was winning the 2015 North Carolina Regional Championship. The biggest struggle, other than funding and recruitment, has been transportation. Being a team based in the mountains has meant the travel to competitions is usually a several hour drive toward the Triangle or other areas of North Carolina. The Gorillas overcame this struggle with the purchase of our very own charter bus. Now when we need to travel, we get in the bus and go! No need for us to find a fleet of minivans and truck to pull the equipment trailer. Because of our bus, we have played in FRC competitions outside of in Missouri, Tennessee, Ohio, Virginia, South Carolina, Georgia in addition to North Carolina! Befriend a veteran team with lots of supplies and awesomely friendly mentors. FIRSTis a conduit for youth (and adults) to explore career paths they may not have otherwise considered. Students get to live the life of an Engineer, Programmer, Business Manager, Tool Designer, Machinist, Program Manager, Marketing/Promotions, Welder, Assembly Tech, Fabricator and many more careers under the guidance of local professionals before committing to years of study in that field. This is the best “test drive” of a career any student could get while in high school. FIRST is also a team building program that brings students from all walks of life together to work toward a common goal and provides endless leadership opportunities for each of them. We believe FIRSTis the conduit to a successful life for our students!